One area of the BETA we know needed refining was the tutorial level, specifically how we onboard new players into the game. We stripped it back to create a slicker sandbox practice environment with handy on-screen tips . The new design allows players to learn the basics – manoeuvring, serving customers, replenishing stock and then getting to grips with the basic combat mechanics. After a lot of testing, it now feels like it’s ready for beta. Your input will help make it even better. Aside from all the refining and fixing, one thing that is always hard is deciding on is the content that gets included – how many characters, levels, emotes, customisation options? 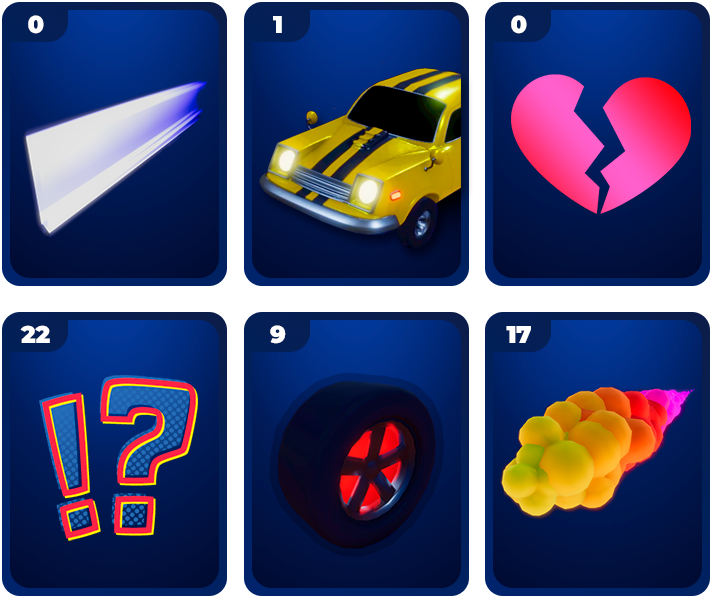 The image above shows a sneak peak into just a few things you can expect to win as you level up during the beta. Ultimately, we are trying to learn from the BETA – does it perform well on your graphics card? Are there times when our servers get overloaded? What do you think is ultra fun and how do we ask questions about your experience game to game, without making it boring? Questionnaires are dull and we know it, we’ve tried to work out the simplest, quickest way we can get your feedback from playing the BETA. We took inspiration from airport feedback consoles that display happy and sad face buttons. If you press ‘SAD’ it will ask you 1 more question “WHY YOU SO SAD?”. Our take on it is simple but it will provide us with semi-detailed data without annoying players. 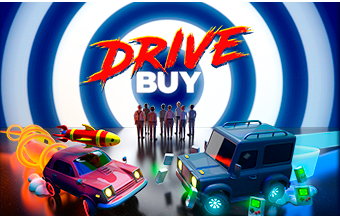 It’s a milestone moment for Drive Buy and we’re very excited to get you into the BETA as soon as possible. We plan on opening the doors and rolling out access within a few weeks. To make sure you’re included, signup for our closed BETA, all we ask for is a confirmed email address. You’ll be racing against online rivals and competing for BUY CORP’s employee of the match very soon. Share this insider knowledge with your friends on social media and invite them to sign-up for the BETA. Stay tuned for more details on our Discord, Forum and Twitter. Questions? Give our FAQ a read! That includes any content creators that like to capture it, stream it and share it. Just remember that the game is still in active development and doesn’t represent the final quality that will hit Steam this year.